Halloween is just around the corner, and this tutorial can be made in just a short time, so it's perfect for last minute decorating! 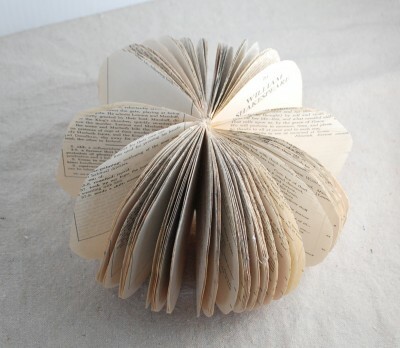 We love this idea which is from Creations by Kara's blog - so check her out! 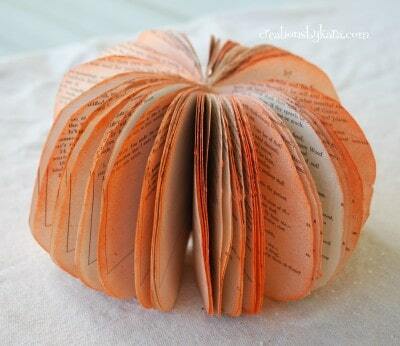 1- Make a pumpkin shape out of a piece of paper. I roughly drew one, then folded the paper in half and cut it so it would be symmetrical. 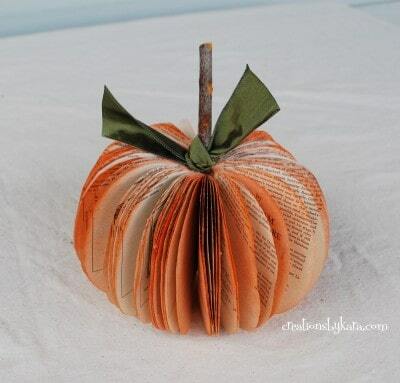 2-Take the cover off of your book and place the pumpkin pattern with the fold on the binding edge. If it doesn't fit, trim it a little. 3-Trace around the pattern with a pencil. 4-Now it's time to cut out your pumpkin. You can use an exacto knife, but I found that it was easier just to use scissors. 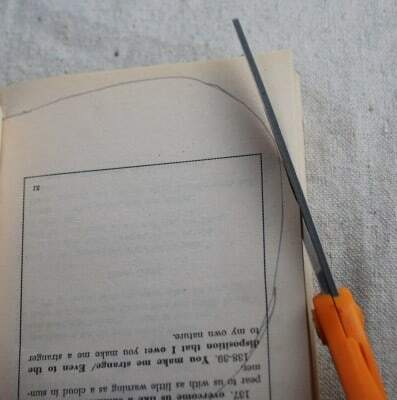 I could cut through 5-6 pages at a time pretty easily. If you don't have fine tipped scissors to cut all the way to the edge of the binding, you can use an exacto knife there. 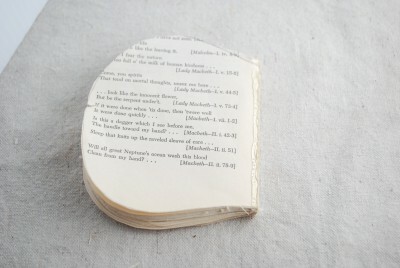 5-After you cut all the way around, pull the excess pages over to the binding and they should tear right off. 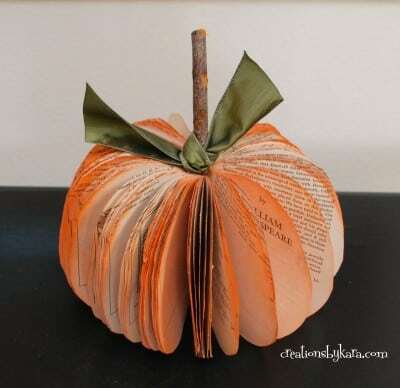 6-Now trace around the pumpkin shape and cut through a few more pages. 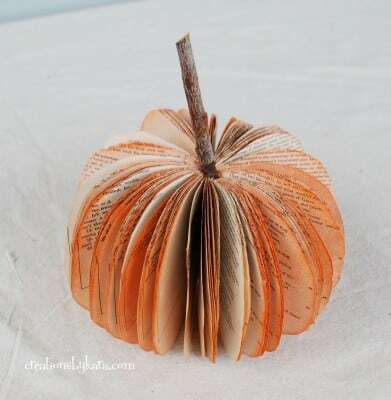 Tip: cut slightly inside the pencil mark, or your pumpkin will keep getting bigger. Yep, I learned that the hard way. 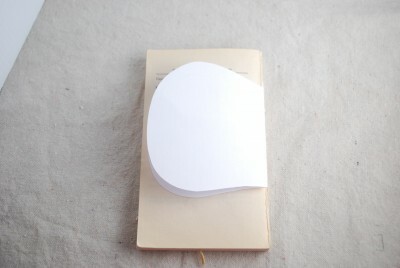 7-Keep tracing and cutting until you have all the pages done. 8-Now put a thin strip of glue on the very edge. I'm the impatient type, so I used hot glue. 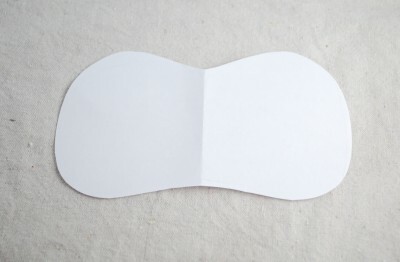 9-Now bring that back page around and attach it to the hot glue, keeping the outside edges as even as possible. 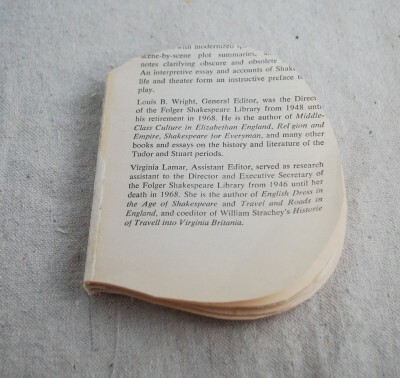 Then add a stip of hot glue to that page, and glue the next page to it, just on the inside edges. I sure hope that makes sense. 11-Don't panic! It just needs to be "fluffed". 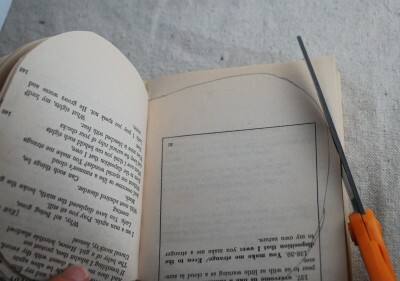 Just go around pulling the pages apart and arranging them how you want them. 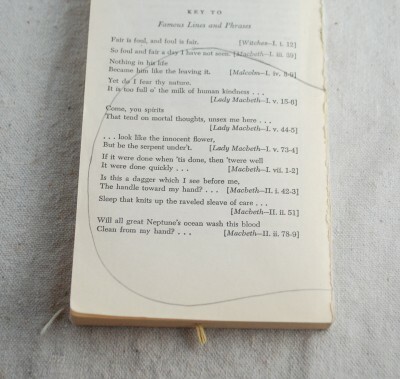 If I had a space where the pages just refused to come together, I added a little hot glue right at the inside seam. When you are done, it should look more like this. It's OK that there are some spaces. We'll fix them later. 12- At this point I decided my pumpkin needed a little color. I could have inked all the edges with my orange ink pad. But I knew that would take awhile. So I turned to my best friend Krylon. Spray paint that is. 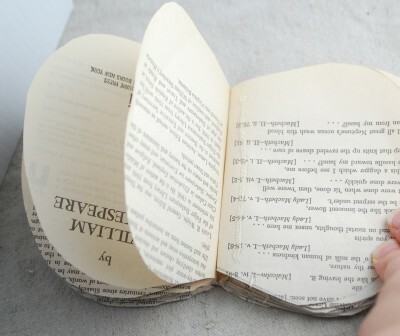 Yep, you can totally spray paint book pages. Just use a very light touch, you don't want it drenched or anything. One light spritz is all you need. 13-Now it's time to add the stem. I just used a stick from my yard. 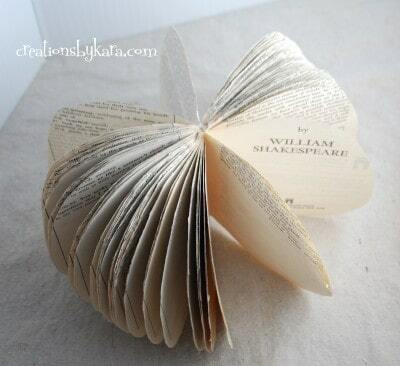 If you have any stubborn pages, now you can bend them to your will. Bwaahaha! 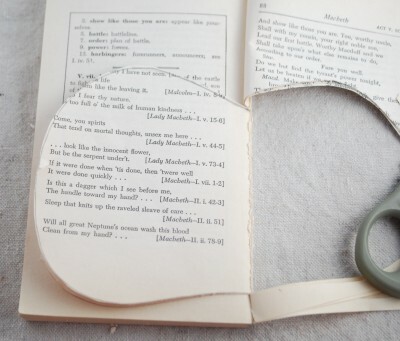 I used a bunch of hot glue, then forced the pages where I wanted them and held the stem in place till the glue dried. Voila! 14-Next I tied a ribbon around the stem. Not only does it look cute and add some color, but it hides all the gobs of hot glue. Yay! And just because I love it so, here is another shot of it sitting on my entry table.